Now it’s done. This one. Here is what AFSA said about the overseas comparability pay implementation earlier, which is part of H.R. 2346. […] We have succeeded in achieving the first phase of our members number-one objective of getting Congress and the Administration to correct the historical injustice of excluding Foreign Service members posted overseas from the locality pay that all other federal employees assigned domestically receive. The Department of State and other foreign affairs agencies should now move quickly to close the first roughly ONE-THIRD tranche of that 23.1 percent pay gap in the current fiscal year. This should translate into a base salary increase in the vicinity of 7.7 percent, by October 1, for all Foreign Service members FS-01 and below assigned overseas. Ideally, this adjustment will be followed by similar measures in FY2010 and FY2011 to address the second and third tranches of the pay disparity. AFSA will work hard to make sure that happens. To view the video of the confirmation hearings, click on the heading “NOMINATIONS” on this page and the Committee Channel should pop up. Links to testimonies/opening statements will be posted when they become available. Don’t you just want to jump into this? 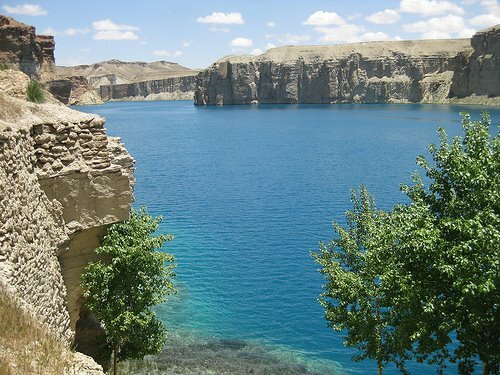 On June 18th, Ambassador Eikenberry joined Governor Sarobi, Second Vice President Karim Khalili, Director General of the National Environmental Protection Agency Mostapha Zaher, and Bamyan provincial leadership to celebrate Band-e-Amir National Park. Long known among Afghans as a place of great natural beauty and cool respite during the summer, the park opened in April for tourists. 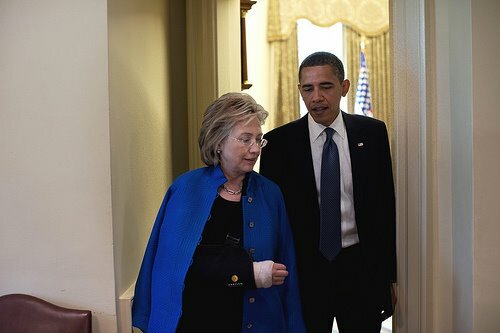 President Barack Obama and Secretary of State Hillary Clinton leave the Oval Office after a meeting on June 22, 2009. Secretary Clinton broke her elbow last week and had surgery on Friday. Some of her 18 million supporters and proud Hillary villagers have posted their well wishes in DipNote.